I’ve always been interested in history, particularly United States history, but it’s only more recently that I’ve had the opportunity to really explore it. The Lewis and Clark expedition has always been of interest but I’ve only started to learn about it. My first real introduction started in Idaho Falls where, at the Museum of Idaho, there is artifact rumored to be a physical remnant of the expedition. However, it also referred to Pompey’s Pillar – which we then added to our itinerary. A couple of years later, we visited Fort Clatsop, the endpoint of the expedition. This has been barely enough to scratch the surface, but it has definitely whetted my appetite for learning more and maybe one day following their path. 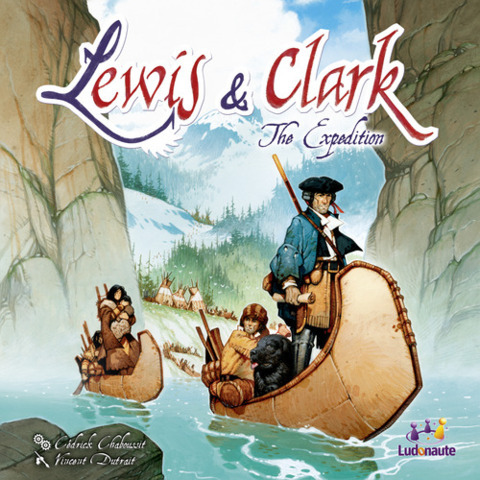 Perhaps as a result, I was cautious about the game Lewis & Clark: The Expedition, designed by Cédrick Chaboussit and released at Essen last year. 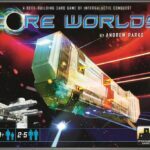 After all, how could a non-cooperative game about the expedition really work? 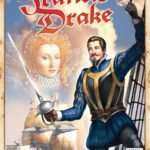 I had a vision of a game where the theme really was just a setting or even just a hook, rather than a game that truly evoked the expedition. 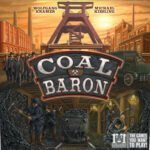 As a result, the game dropped off of my “buy” list and on to my “try” list. But when I did try it, I found it interesting enough to explore further. So what is the game like? 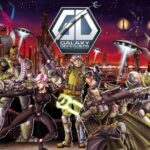 It is one of a group of interesting takes on deckbuilding games to have been published last year. Players have their full set of cards available to them and take actions to pull them back into their hands rather than playing through their cards and then shuffling, as in Dominion. In Lewis & Clark, cards are played in order to collect resources and advance each company’s scout along the trail until one player sets up camp at or beyond Fort Clatsop, winning the game. Each turn a player can take up to three actions, in any order. One action is required – either a card must be played AND powered or a Native American must be played in the village to activate one of those actions. If a card is played, it must be activated with a combination of not more than one card (which, being used to activate, cannot be used for its usual function until returned to hand) and Native Americans, powering the activated card between one and three times. This can provide resources, move that player’s scout forward, recruit more Native Americans, or other actions. 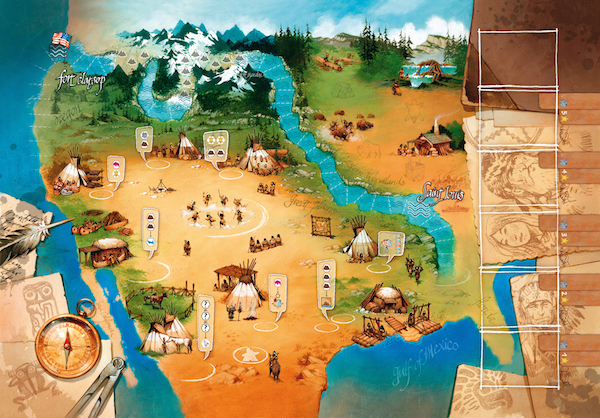 The village offers a number of alternative options for actions when placing a Native American such as trading for horses or canoes, using another player’s played card, adding space for more goods or Native Americans, or collecting combinations of resources. The second available action is recruiting another person to your party. This takes resources and can involve effectively trading an existing party member for the new one. The final action is setting up camp. To set up camp, a player must first move his scout back a number of spaces, based upon the number of cards he has left in hand, the number of Native Americans in his party, and the number of goods he’s transporting. Then, if his scout is ahead of his current camp, he moves his camp forward and takes all of his cards back in hand. If the new camp location is at or beyond Fort Clatsop, the game is over and he has won. Based upon my knowledge of the expedition, I was immediately anxious to see how the game turned a cooperative quest into a competitive one. The first thing I noticed was that each team consisted of real members of the expedition – including Lewis’ dog Seaman. 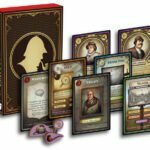 While perhaps not perfect historical accuracy, there was careful attention paid to a number of details, enough to encourage the player to explore the subject in more depth. In the end, even the splitting of the expedition into multiple parties has some historical basis; while not the case on the way to the Pacific, the party did split on the return trip. But even beyond the cards, the theme is reasonably well integrated with the mechanisms. For example, the way setting up camp works makes sense. You have to send your scout forward in order to make progress but your progress is slowed by having too many goods or too many people in your party. The path – which mixes river and mountains – is a reasonable approximation of the actual trail forged. And the abilities of each person who can be added to the party are consistent with their historical strengths. One of the key elements I look for in a game is enough variability to make repeated plays feel different while providing enough continuity to be consistently enjoyable. The large deck of characters in Lewis & Clark provides this in two ways. First, there’s great variability in when cards come out and so some ordering differences. 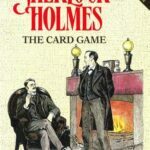 But even more importantly, much of the deck is not used in any particular game. This is not a positive for everyone; those who want to be sure of exactly what they’re dealing with typically don’t care for this. Lewis & Clark definitely isn’t the easiest game for players to pick up. It’s not that the rules are overly complex or poorly written; it’s just that there’s not a clear path for players to pursue from the start. There are a number of positive aspects to this. It favors experienced players, certainly, but, at the same time, it can be off-putting to new players. I would not recommend the game for non-gamers. It’s also a game that can be very slow the first time around as the lack of clarity can lead to extra time spent on analysis – often to little effect. With experience, the game can easily be played faster than the 30 minutes per player suggested on the box. 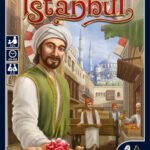 At a retail price of $50, the game feels a good value compared with other recent releases. The original release was disparaged for the thin cards included, but I’ve not had any problem with them; they are only shuffled once per game. 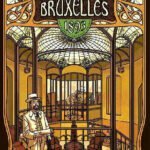 In any event, the issue is supposed to have been resolved in the reprint. In spite of deciding against purchasing Lewis & Clark initially, I was looking forward to trying it. And while it didn’t immediately capture me, it was interesting enough to play more – and it has grown on me with each successive play. 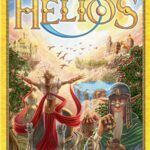 What’s more, the game has gone over well with many groups in my experience. That said, the game is not for everyone. 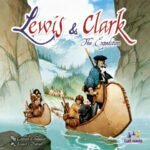 Lewis & Clark is enjoyable but the pace of the game works against it. 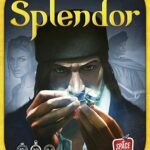 It’s a cerebral game, and as such isn’t particularly exciting. Those who like to hear yelling and cheering while they play are likely to be disappointed; those who can tolerate slow play are likely to be bothered initially – and again with new players. It’s also unlikely to strike home with those who don’t have an interest in the expedition. 2013 was an excellent year for new games for me, but Lewis & Clark is still clearly my fifth favorite of the crop – and might still be moving up. I’ve particularly enjoyed seeing significantly different strategies work, from one game to the next. Somehow it seems appropriate that a game about exploration is well worth – exploring.